On 24 April 2017, the United Kingdom’s communications regulatory agency upheld a complaint against Al Arabiya News channel for unfair treatment towards imprisoned Bahraini torture victim Hassan Mushaima. 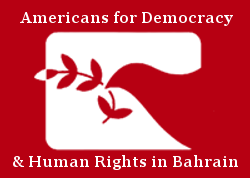 Americans for Democracy & Human Rights in Bahrain (ADHRB) filed the complaint on behalf of Mushaima with the Office of Communications (Ofcom) last year. It alleged that Saudi-owned Al Arabiya had broadcast a previously recorded interview with Mushaima, featuring a false confession obtained through torture, without his consent on 27 February 2016. ADHRB applauds Ofcom’s ruling that Al Arabiya committed a “serious” breach of its rules; the channel now faces the possibility of a fine, license suspension, or other disciplinary measures. Hassan Mushaima is one of the Bahrain 13, a group of human rights and opposition figures, online activists, and religious leaders who were arrested, tortured, and sentenced to arbitrary prison terms for their involvement with the 2011 pro-democracy protests. He is currently serving a life sentence at Jau Prison for allegedly plotting to overthrow the monarchy, where officials have tortured him and arbitrarily denied him medical treatment for cancer. As a prominent Shia cleric and Secretary-General of the opposition group al-Haq Movement, Mushaima advocated for democratic reform, for which Bahraini authorities arrested and jailed him repeatedly throughout the 1990s and 2000s. Despite these documented human rights abuses committed by the Bahraini government against Mushaima, Al Arabiya decided to broadcast a segment on its investigative news program February Box that clearly sided with the official Bahraini government narrative. Footage of an interview with Mushaima appeared to feature him confirming Bahraini Shia collusion with Hezbollah and Iranian officials to undermine and overthrow the Bahraini government. However, Mushaima’s complaint asserted that the program deliberately mislead viewers by violating Ofcom regulations in two ways. First, the airing “treated [Mushaima] unjustly or unfairly” by including footage of him falsely confessing under duress of torture, and by not providing Mushaima an opportunity to respond. Second, Al Arabiya “unwarrantably infringed” his privacy because the footage had originally been filmed in private, and the news channel did not have his permission to use it. Al Arabiya attempted to deny these allegations, asserting that newscasters have the right to exercise free expression even for “controversial and emotional topics.” It argued that the footage had been obtained from the Special Security Force Command of Bahrain and been filmed in March 2012. The findings of the 2011 Bahrain Independent Commission of Inquiry report—that authorities had tortured Mushaima into falsely confessing—thus did not apply. Moreover, Mushaima, as a public figure, had “voluntarily placed himself in a position that invites attention and comment.” According to Al Arabiya, Mushaima’s demeanor during the interview also suggested that he was a willing and consenting participant in the interview. Ofcom dismissed Al Arabiya’s defense on numerous grounds. Of particular note, Ofcom highlighted that the interview clearly took place when Mushaima was already imprisoned and his torture already well-documented. Given the high profile nature of Mushaima’s case and subsequent appeal alleging an unfair trial, Al Arabiya should have made a good-faith effort to inform viewers of this background, but did not. Instead, “this omission may therefore have had the potential to impact detrimentally on viewer’s ability to gain a full understanding of Mr. Mashaima’s situation, such that they may have perceived him in a way that was unfair.” Further, the sensitivity of the information contained in the footage, compounded by Mushaima’s ill-treatment, “pointed towards a higher expectation of privacy,” but Al Arabiya did not demonstrate that it took measures to ensure Mushaima’s consent for its broadcasting nor that it gave him an opportunity to respond to its allegations about him. ADHRB welcomes Ofcom’s decision in upholding the rights and fair treatment of Hassan Mushaima, an unlawfully imprisoned torture survivor. The Bahraini government use of torture to elicit false confessions violates international fair trial standards, and it is highly concerning that an international media channel disregarded these human right violations in its coverage of Mushaima’s case. By purposefully misrepresenting his situation, Al Arabiya News caused further trauma to an already vulnerable individual and his family. Strong disciplinary sanctions are warranted for the harm caused by Al Arabiya’s bias. Rachael Diniega is an Advocacy Intern at ADHRB.